Rheinmetall has integrated the Multirole-Capable Light Anti-tank Missile System or MELLS onto the Bundeswehr’s tried-and tested IFV, the Marder 1A5. Following successful conclusion of the study phase, the Bundeswehr subsequently ordered 44 MELLS retrofit kits. At total of 35 vehicles were equipped with the new missile system integration kit. The retrofit contributes to the combat effectiveness of the Bundeswehr’s mechanised infantry units. At the end of 2016, Germany’s Federal Office for Bundeswehr Equipment, Information Technology and In-Service Support (www.BAAINBw.de) awarded Rheinmetall Landsystems a contract to study ways of integrating the MELLS onto the IFV, which is reaching the end of its service life. Thanks to the MELLS, the Marder IFV now has a new, highly effective antitank capability. Under a development contract – with the help of two sample vehicles –Rheinmetall examined the extent to which oscillation due to movement of the vehicle and the resulting vibration behaviour had to be taken into account when integrating the MELLS. The results formed the basis for a modified storage concept, enabling transport of the launcher and missiles in the infantry fighting vehicle. The project was conducted during the first half of 2017. The high point came when the vibration-stressed missiles were successfully fired from the IFV. Rheinmetall has accumulated massive expertise in all aspects of the Marder. The weapons system first rolled off the assembly lines of Rheinmetall’s forerunner in Kassel. Extremely reliable and battle-tested, the Marder is destined to remain an important workhorse of Germany’s mechanised infantry for several years to come. 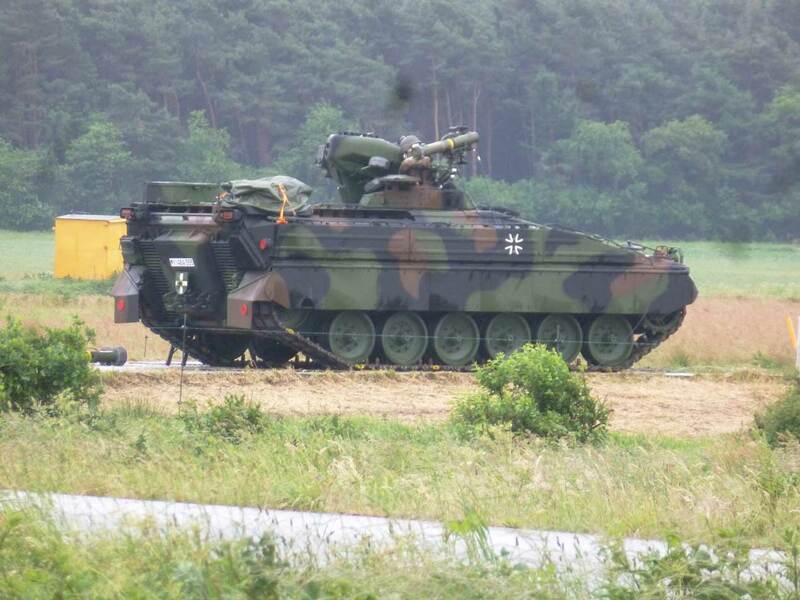 Rheinmetall is also looking at integrating the MELLS onto the 1A3 and 1A5A1 versions of the Marder.